Tranquility Homes are very proud to introduce a fantastic four bedroom detached house situated in a highly favourable area. Located off the desirable Forest Lane on small cul-de-sac in a prime position. This attractive house is set in a fantastic plot and placed in what can only be called one of the best locations to live in Leicester. Accommodation briefly comprises of centralised entrance hall, downstairs bathroom and closet, fitted kitchen, utility room, dining room, large lounge leading to a sun room and office. First floor four double bedrooms, Master en-suite and family bathroom. To the front of the property there is a lawned area with off road parking and access to rear garden. Large rear garden with storage location and access to double garage. The property has been extended and designed for maximum living space and entertaining. Entrance hall 10' 9" x 7' 6" (3.3m x 2.3m) Tiled throughout with painted wooden staircase, under stair storage, Storage cupboard and access to downstairs bathroom. Spotlights to ceiling. Kitchen/breakfast room 20' 0" x 13' 9" (6.1m x 4.2m) A range of base and raised units finished with a corian worktop. There is a fitted fridge, freezer, wine cooler, dishwasher, Double oven and electric hob. Flowing with the corian worktop is the sink with stainless steel mixer tap. Centre island with a range of storage and draws. Wood flooring throughout and spotlights to the ceiling. There is also UPVC door leading to the side entrance. The utility room is accessed via a hidden door flowing with the decor with space for washing machine and dryer and which also houses the boiler. Owner wrote - The hidden door to the utility room: "I saw this in a friend's house in London and thought I have to have one! It is great to keep the continuity form kitchen to diner, we love it. " dining room 13' 9" x 11' 9" (4.2m x 3.6m) Leading from the kitchen is a bright and spacious dining room with sliding doors to the lounge and wooden floor throughout. Lounge 22' 7" x 14' 1" (6.9m x 4.3m) The lounge has fantastic space with wooden flooring and spotlights throughout. There is a gas fireplace and open access to the sun room and entrance hall. Sun room 1 22' 11" x 8' 2" (7.0m x 2.5m) With Bi-fold doors to the rear and elevated loft style ceilings the room is perfect for socialising and lounging on those sunny days. With UPVC windows out to the garden and Velux windows to the ceiling. Wooden flooring throughout. Sun room 2 / office 23' 7" x 8' 2" (7.2m x 2.5m) Currently used as a office / study this room is set away from the main house but is also perfect for those sunny days. Elevated ceilings with Velux windows. Wooden flooring throughout. Owner wrote - "we use this space for our office as it sits quietly away from the rest of the house, it would also make a perfect playroom or gym"
master bedroom 20' 4" x 18' 4" (6.2m x 5.6m) This bedroom has the wow factor with lots of space, Fitted wardrobes spanning across the side wall. Carpeted throughout with modern decor and spotlights. Owner wrote - "we can see the seasons change from our bed, every morning the view from this window is different. Bedroom 2 14' 5" x 11' 9" (4.4m x 3.6m) Spacious double room with modern decor and carpeted throughout. bathroom 10' 2" x 7' 10" (3.1m x 2.4m) Luxury bathroom with separate bath and separate shower cubical. Tiled throughout and finished to a very high specification. Spotlights to the ceiling. Ensuite 6' 6" x 6' 6" (2m x 2m) The En-suite is finished to a very modern and high standard with corner shower, large basin with drawer storage and a large fitted heater towel rail. There is also a double door wall unit. Tiled walls and Lino to the floor. Spotlights to the ceiling. 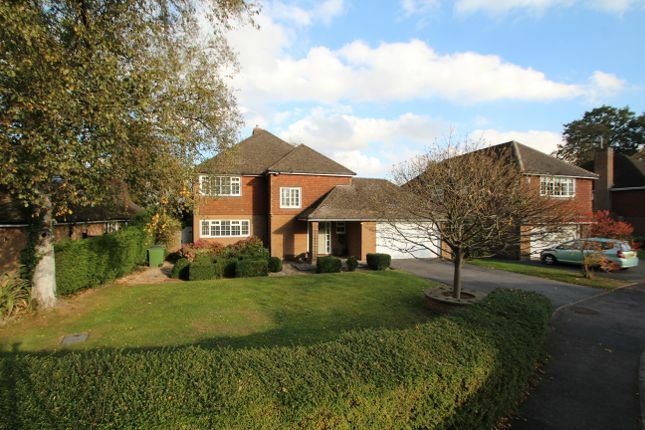 Owner wrote - "we picked big items for a small space which works really well - this room has underfloor heating which is great"
garden To the front of the property is a generous driveway for 2 or more vehicles and a lawned area. The rear garden is accessed via a side gate leading to the rear garden which has a patio area leading round to the door to double garage. The rear garden is a great size with a range of bushes and trees to the rear to create a private space for you and your family to relax. There is also access to fields via a gate at the rear. Owner wrote - "the gate in our garden leads us into fields which means we can walk/run some great routes"
Property descriptions and related information displayed on this page, with the exclusion of Running Costs data, are marketing materials provided by Tranquility Homes Ltd, and do not constitute property particulars. Please contact Tranquility Homes Ltd for full details and further information. The Running Costs data displayed on this page are provided by PrimeLocation to give an indication of potential running costs based on various data sources. PrimeLocation does not warrant or accept any responsibility for the accuracy or completeness of the property descriptions, related information or Running Costs data provided here.